Jihad Watch : Félix Tshisekedi is correct that the Islamic State (ISIS) doesn’t consider itself to have been defeated. It has lost in Iraq and Syria, but it considers itself to be only the latest exponent of a 1,400-year-old war; it will never give up, it will just move somewhere else and try again. 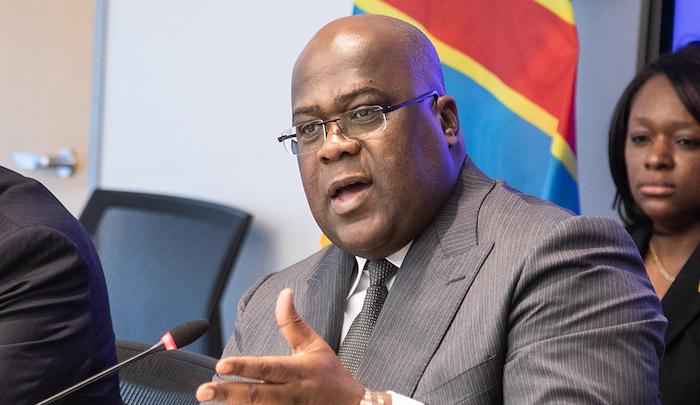 The Islamic State, pushed out of its strongholds in Syria and Iraq, could seek to establish a caliphate in the heart of Africa, Congolese President Félix Tshisekedi warned in a meeting at the Atlantic Council in Washington on April 4. He sought a “strategic partnership” with the United States, one of the pillars of which would be military assistance to address the challenge of terrorism. “It is easy to see how the defeat of Daesh, the Islamic State, in Syria and Iraq could lead to a situation where these groups are now going to come into Africa and take advantage of the pervasive poverty and also the situation of chaos that we have, for example, in Beni and Butembo, to set up their caliphate,” Tshisekedi said, referring to cities in northeastern DRC which have been gripped by deadly violence. He blamed the violence in northeastern Democratic Republic of Congo (DRC) on “local and foreign” armed groups.